The State Department is withholding 37 pages of former U.S. Secretary of State Hillary Clinton’s email chains from court-ordered public release due to the discovery that they contain top secret information. Kirby, who retired as a U.S. Navy rear admiral and Pentagon spokesman, is laughingly called “Baghdad Bob,” Saddam Hussein’s Iraqi military spokesman who was notorious for bending the truth in his reports. Kirby is accused by many of being deceptive on behalf of Obama and Clinton. To her credit, Herridge is the only top news correspondent to explain exactly what is transpiring at the State Department, White House and Pentagon regarding the FBI investigation of Clinton, her Internet server and her role in suspected corruption at the so-called charity organization, The Clinton Foundation. The controversy over Clinton’s use of a private email server in her New York home for her work as a secretary of state from 2009 to 2013 in the proverbial “thorn in the side” of her and her campaign to become president. But a lot of the news coverage, especially by the national news media, is obviously slanted to make it sound as if the email scandal is a concoction of the Republican Party. “On its face the Clinton campaign’s statements are mendacious. The FBI agents, the inspector general for the intelligence community and members of the CIA, NSA and other spy agencies are not part of the Republican Party. The only conspiracy is the Clinton-State Department lies and political spin,” said former police deputy chief and political strategist Joey Nathaniel. Nathaniel noted that the Obama administration has intentionally or unintentionally delivered a curve ball to Hillary Clinton with their first public admission that her unauthorized email server contained the highest levels of classified U.S. intelligence, despite her denials. With three days to go before the Iowa caucuses, when the first votes are cast for the Democratic and Republican presidential nominees, the announcement is likely to reignite criticism by her Republican opponents that she made highly sensitive government secrets vulnerable to hackers. 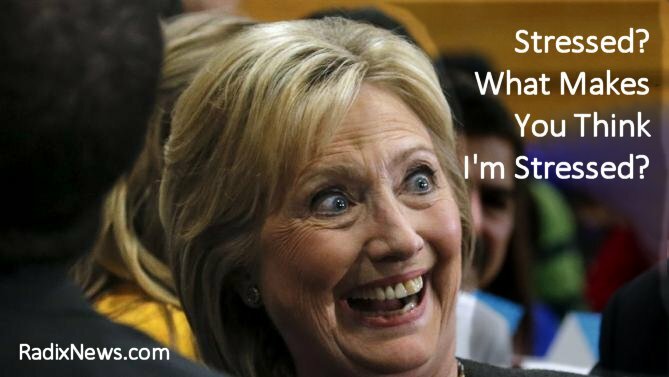 Her minions’ charges followed Tuesday’s revelation that Clinton had intelligence known as “special access programs,” or SAP, on her personal non-secured Internet server as U.S. secretary of state. Jim Kouri, CPP, the fifth Vice President and Public Information Officer of the National Association of Chiefs of Police, has served on the National Drug Task Force and trained police and security officers throughout the country. This article originally appeared in Conservative Base and is reprinted by permission of the author.